Earlier this year I was rooting through some old tapes and came across this film I edited which I had forgotten about. It was made as part of a scheme in the 2002 Galway Film Fleadh where several crews went out and made a film in a few days during the duration of the festival. 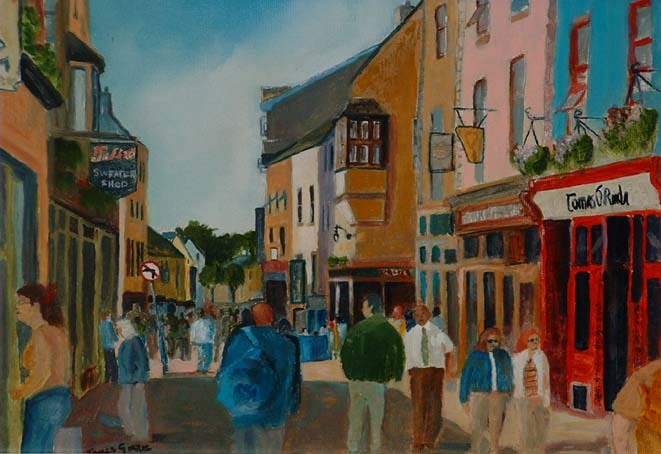 The film charts a day in the life of High street in Galway on the 8th of July 2002. Galway has change a bit since then, with lots of the business featured in this have gone but yet somehow it still remains the same. I felt it was appropriate to upload it today ten years later. This film was directed by Thomas Hardiman, a Tuam sham who has directed a number of high profile documentaries, including one on his fellow Tuam sham Tom Murphy and who also ran the Galway Arts Centre for years. It was shot by Colm Hogan who has shot a rake of things since, some of whom I have edited. Very nice to see this, John. A blast from the not too distant past.